hear ye, hear ye! part two! 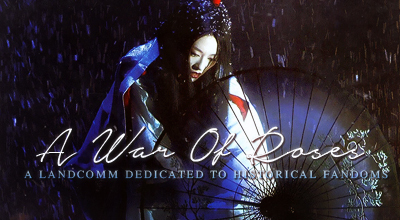 This is a friendly reminder to come join a_war_of_roses, an interactive landcomm based on historical fandoms! Apply here to join Team Red Rose or Team White Rose, and tell them flyingharmony sent you! Round Two started on July 31st! Can I ask who made it? Sure! It was in_the_end,a nd I found it at tryingtorevive a couple years ago - hopefully it's still online, because i know that sometimes the links expire, which is always quite painful when you look for new mood themes and actually found the perfect one lol.